The panel on remittances was headed up by moderator Allison Truitt, author of Dreaming of Money in Ho Chi Minh City and an expert on how Vietnam might serve as a model for "new markets, digital telecommunications, and an ideological emphasis on money's autonomy from the state." Truitt summarized the panel at the end over which she presided as being about the "affective and physical labor of making money mobile" in a variety of ways. Mariam Sangare of CESSMA situated her research in "Mobile Money and Financial Inclusion in Mali: What has been the Impact on Saving Practices?" by searching for factors that have had more impact on financial inclusion than microcredit initiatives that often receive disproportionate attention from philanthropic organizations. Sangare described her objective as assessing "the potential of mobile banking in favor of financial inclusion, with particular consideration of users’ saving practices." She had previously worked on microfinance service quality in the same geographical area, but she now argued that the increasing access to mobile phone networks since 2006 was reshaping the inclusion paradigm. The first mobile banking service, Orange Money by Orange Mali was established in 2010. Mobile money services included monetary deposit, withdrawal, and transfer. Unfortunately such services did not allow for borrowing or saving against remuneration. and users were charged for withdrawal, so there was sometimes little incentive for creative appropriation of the technology beyond limited remittance services. Nonetheless, users saved anyway. Sangare described her central research questions as follows: "Is mobile money meeting people’s saving needs? Is it a strong alternative for rural people? For which forms of savings is it used for (consumption, precautionary or investment saving)? What are the differences between somewhat agricultural areas, and Sahelian ones dependent on remittances from migrants?" She described how her theories about poor people’s saving were shaped by a critique of the so-called "liquidity trap" in which users supposedly did not have enough surplus left for saving. She insisted that this stereotype about savings aversion was not supported by evidence. To understand remaining unmet saving demands, she argued that mobile money actually was better accommodated to juggling with different informal saving means and arrangements than more rigid financial inclusion initiatives. According to Sangare, in some cases, such saving also seemed to have more transformative impacts than microcredit did. However, she strove not to minimize "constraints and barriers undermining the poor," including transaction costs that could involve monetary and non-monetary assets, a lack of trust in institutions, and regulatory barriers that included prudential regulation. In addition, she was concerned about information and knowledge gaps and social constraints that involved intra-household and inter-household dynamics. Finally, she asserted that it was important to take behavioral biases into account, which could include biases in preferences, in expectation, and in price appreciation. In closing, she posed an important hypothesis that "the potential of mobile money in saving access depends on the service features and the other existing formal and informal means of saving." 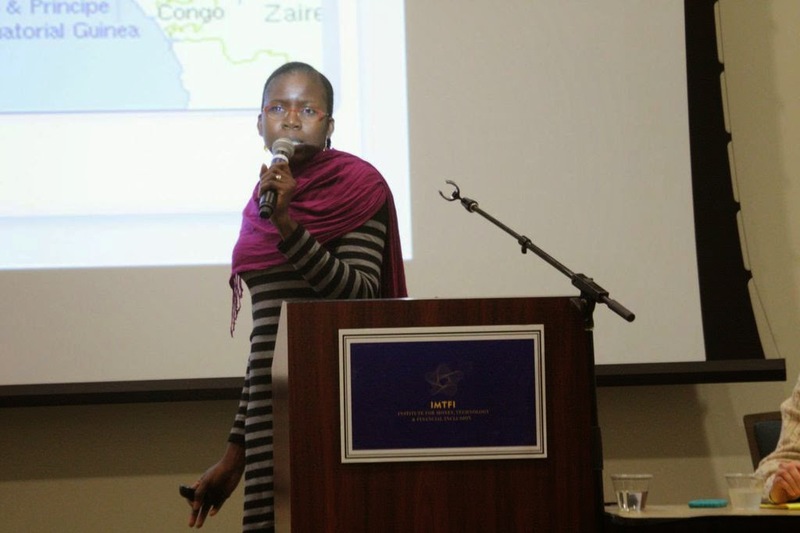 Her field research included Orange Money users’ surveys in three different areas in Mali: Bamako (urban area), Kayes (sahelian and emigration region), and Sikasso (agricultural region). In November 2014 researchers held a meeting with partners (including mobile operators and research partners) and addressed the recruitment of assistants, the testing of the questionnaire, and sampling method choice. Preliminary results indicated a growing number of mobile money account holders since 2012 from 800.000 (2012) to 2 million (2014). She noted that there were often regular small deposits in mobile money accounts and that users described usage motivated by accessibility, low transaction costs, and ease of use. Responses to the questionnaire could also be put in the context of clients’ financial profiles, and mobile money usage and interactions with other financial services were evaluated in a larger fiscal economy in which mobile money could be used for saving purposes. Sangare plans a second field visit scheduled for February 2015 that will include customer surveys and data collection in the three concerned areas. The survey will be designed to understand the involvement of different constraints in the users’ choice of mobile money service for saving reasons. From this field work she hopes to understand the poor’ saving demand and strategies, how much they accept to pay for saving commitment, and the facts on the future of mobile money services. Although their initial abstract focused on one question -- "Does Financial Inclusion Spur Overseas Filipinos to Invest?" -- Jeremiah M. Opiniano of the Institute for Migration and Development Issues (IMDI) and Alvin P. Ang of Ateneo de Manila University retitled their talk to emphasize "Overseas migration, hometown investment and financial inclusion: A Remittance Investment Climate Analysis of a rural hometown" after being thwarted by a frustrating five-month delay involving ethics institutional approvals. Opiniano opened with an explanation of the background of RICART, as a Global Development Network prize-winning mixed methods tool, which was developed as a way to interpret the influence of the 240 billion dollars in remittances generated by over 10 million Filipino citizens working abroad or at sea. Unfortunately researchers feared that the supposed "diasporic dividend" represented by 10% of the nation's GDP might do little to promote substantive investment at home, particularly for the two-thirds of migrants leaving in rural areas that lose educated and industrious members of society. 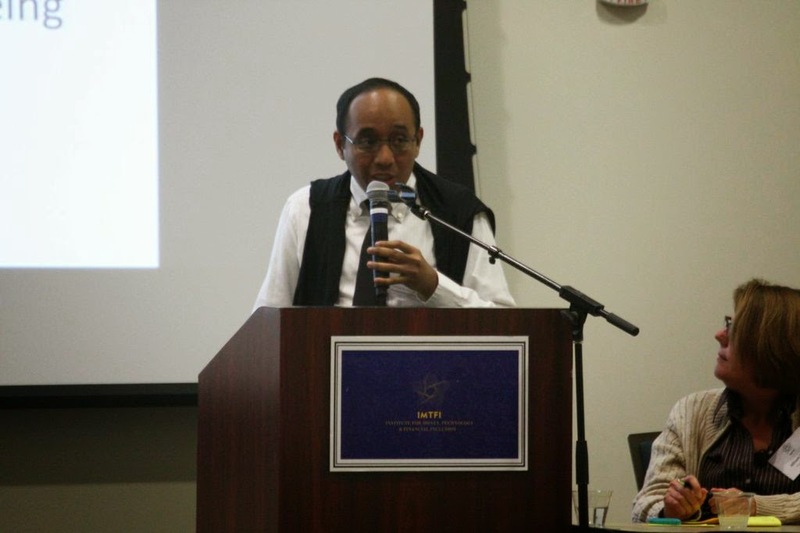 He explained that the RICART acronym stood for Remittance Investment Climate Analysis in Rural Hometowns intended to determine the conduciveness of the rural hometowns of overseas migrants (found in origin countries) for investment. 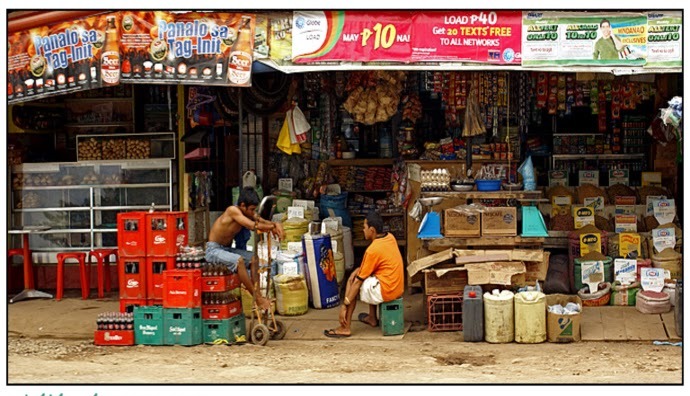 Opiniano described how the "hometown empathy" of migrant Filipinos seemed to produce less tangible development and financial inclusion, despite the intense affective investment involved and how "when you send money there is love attached to it," because remittances are a type of financing "rooted in people and institutions that have links with origin communities." In their framework, it is important also to progress from local development to global competitiveness in stages in which intermediate phases of regional economic development and competitiveness and national economic development and competitiveness are supported with infrastructure, economic dynamism, and government efficiency. By focusing on investment needs for development and poverty alleviation in the rural hometowns, researchers hoped to "bridge the disconnection" between remittances and investment. Starting with some raw qualitative data from ongoing rapid rural appraisal work (based on six key informant interviews and two focus group discussions), Opiniano and Ang ventured to do some hypothesizing using the descriptive results of previous rounds of RICART (Round 1: Magarao, Camarines Sur and Maribojoc, Bohol; Round. 2: Pandi, Bulacan) to prefigure what to expect in RICART Round 3, which had been stalled by ethics approval issues. Opiniano introduced the audience to Guiguinto and described it as a place that was "improving" in terms of income and could also be described as a relatively "investment-friendly" municipality aspiring to become a full-fledged city, according to local officials. It also was known for a variety of cooperative ventures at a range of scales. The Guiguinto economy is fueled by non-agricultural sectors, because there are factories and produce warehouses being transported from the north to Manila. Because of its proximity to Manilla, there had been a real property "boom" and a mushrooming of subdivisions. Guiguinto had the distinction of being the first municipality in Bulacan province to computerize real property tax information and business permits and licensing. Nearly five percent of the total population are migrants. To get a sense of the place, you can watch footage shot at the town fiesta, Halamanan, a garden festival with floats and parading dancers, here. As Opiniano explained, there is some measure of fear of putting money in a bank, as a result of the trauma of the closures of banks, especially rural banks. Additionally informants reported the "usual complaint" that "asking for loans leads to many requirements." Gender dynamics also might be important, because there might be more trust in having female family members handle remittances responsibly. Money management was often tied to awareness of needs for school expenses and emergency. Ang described the informant pool, which was relatively well educated, as was common in a country in which most had a high school education as a minimum, although they often lacked financial literacy formally and were resistant to advice. Although they had high self-assessments of their financial literacy, their knowledge of interest rates, inflation, and loans indicated noticeable deficiencies. They were also more informed about borrowing rather than saving, probably because of the nature of their own practical experience, For a good overview of learning theory, see this summary of influential learning theories compiled by UNESCO. Villarreal opened by noting that there were "many kinds of currency," including social currencies, symbolic currencies, and different kinds of resources, with another IMTFI conference plug for Zelizer's The Social Meaning of Money. In looking at how Mexican families manage two locations, she argued that it was important to understand how "certain kinds of limits are placed" and how borders may be more than just geographical constructs. 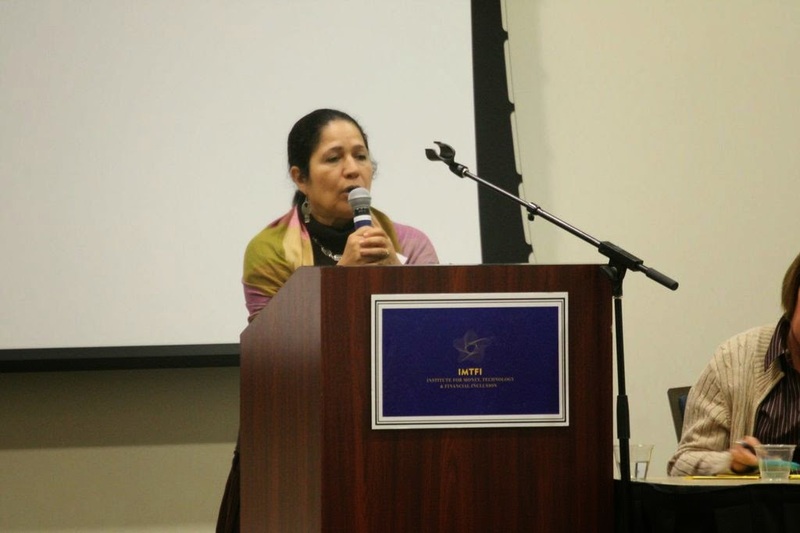 Although she acknowledged that there may be very complex forms of multiple citizenship in an increasingly globalized world, in which people may belong to as many as four countries, she focused on either double nationalities or undocumented Mexicans. Her research team focused on two populations: bi-national commuters at the US- Mexico border (Mexicali- Calexico) and bi-national workers from the remote village of Sabinilla in western Mexico coping with complex transnational contexts involving work in Hawaii. She used these case studies to illuminate the "signification and valuation of currencies" and to argue that "in the intertwining of economies, cultures, normativities and practices we tend to conceive as different and dissagregated." 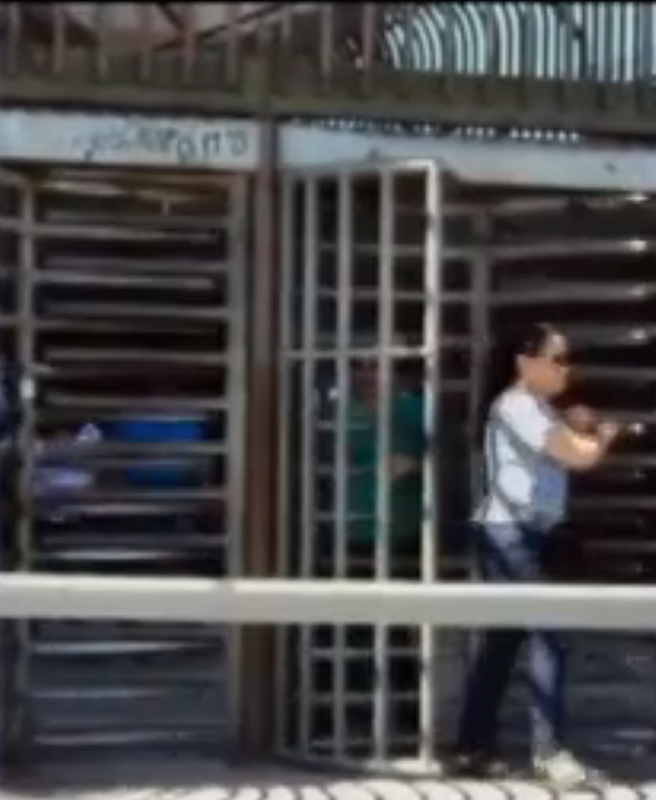 To introduce the theme of the volume of the cross-border flow, Villarreal showed footage of turnstiles in which immigrants were constantly moving through. As they moved through the turnstiles, she argued that more than many resources were in circulation, including Family, Workers, Wages, Debts, Taxes, Savings, Investments, Insurance, Social benefits, and Social Security Numbers. (Even tax returns can be a currency in Mexico, as she observed.) Those who cross must make many calculations, including measurement of risk, perceived potential of particular resources, prediction of costs, social differentiation, and value considerations, which may even result from the "renting" of social security numbers. Calculating in dollars and calculating in pesos might also indicate important cultural differentiations. Such people are faced with need to juggle currencies: both with two national monetary languages and the social and cultural values attributed to different coinages within distinct spaces of interaction. Villarreal explained that her research team was concerned with how to inquire into multiple meanings, expectations and normative frameworks associated with forms of money and economic resources, into family arrangements and the capitalization of resources, into translation of values from one currency to another, into the need to accommodate to particular procedures and practices at the interstices, into the need to calculate and transact in monetary, but also social and symbolic currencies, and also into social and cultural experiences, expectations, and desires. Niño then took the microphone to introduce the case of Calexico-Mexicali transnational men and women who work in the US and live in Mexico and manage identities as commuters, as well as those who live in the US and have livelihoods in Mexico. Such informants may work in rural and urban areas. In Mexicali, 44% of those in the US work in agriculture, and 32% work in services, including domestic workers, those in care-related jobs, and those engaged in various forms of commerce (formal and informal). Many of these informants were hard-hit by the U.S. financial crisis, because many had their money in US banks or were involved in sub-prime mortgages or credit card debts or department store debts that were impacted by financial instability. Ironically, many sold properties in Mexico to pay US mortgages, while others borrowed from Mexican friends or family, and still others returned to Mexico after having lost their homes. Yet most of them maintain links to the US, to carry out business, to look after children, etc. 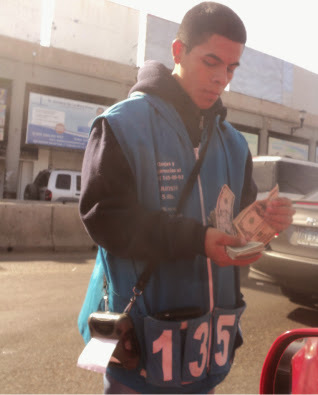 In closing, Niño showed "dollar boys" (pictured above) who approach cars to trade currencies at the border and other practices documented by researchers. The final presenter, Joshua Greene, introduced Sabinilla, population 81, a very rural village connected to the outside world by twenty miles of dirt road and separated from the next village by two rivers. Those living in Sabinilla used to manage herds of cattle for neighboring ranchers and farmers, but now almost everyone migrates to Hawaii, because a half century ago the owner of a California Denny's where some Sabinillans worked decided to open a branch in Hawaii and suggested relocation. With a questionnaire of about 120 questions, the team was interested in what workers brought back other than money, including tools, experiences in the tourism economy, and expertise in world cuisines, including that gained as Thai chefs and Italian chefs in the Pacific. Those who still make cheese in the village from cows are dislocated. The village has also immersed itself in a green economy, and eco tourists come to see their soil retention projects, greenhouses, filtration efforts, solar water heaters, and alternative livestock and crops. Although residents may try to start small businesses with money earned abroad, often these efforts are frustrated. Even the most entrepreneurial workers struggle as they are working with debt, managing multiple frameworks of calculation, participating in networks, capitalizing in parallel economies, and managing the anticipation of potential value and mobilization of resources. They must operate networks in which information and double standards matter, and they must exploit ambiguities and respond to opportunities. In mobilizing resources, they might not have monetary resources. Researchers found that those newer to migration often had more difficult financial inclusion experiences than those more experienced with migration histories. Of course, this investment is a serious one, because this six thousand dollar journey can take a year to pay off. The question-and-answer session addressed how the juggling framework might be especially relevant for women already juggling domestic labor and answered queries about choosing the family as a unit of analysis.